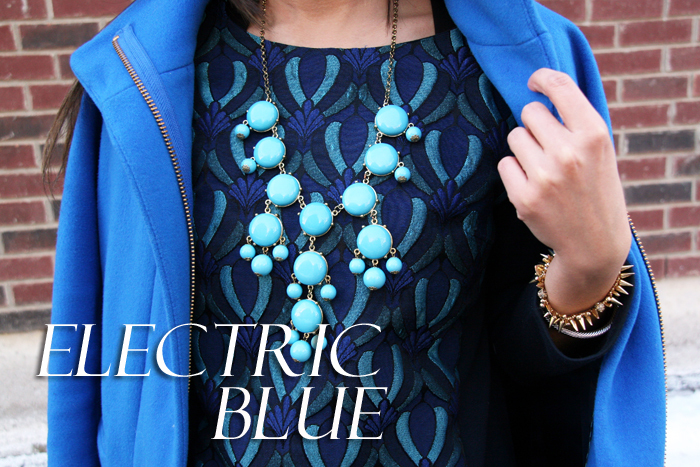 I absolutely can’t get enough of this electric blue coat I purchased beginning of the Winter season. I love the fact that it is super bright, it totally brings my mood to a different level. I also adore a great cocoon shaped coat (I’ve managed to accumulate 3-4 coats of this shape now). I decided to go full “electric blue” by pairing this coat with multiple shades of blues and greens. Though the temperatures have not been as cold as “extreme cold alert” lately, layering is still my BFF. I added extra layers to this outfit by wearing my printed top over this MINKPINK dress (worn as a skirt). Thoughts on electric blue? What have you been doing to keep warm aside from layering? I hope you had a wonderful weekend! Mine was fantastic – starting off with a romantic dinner, followed by major BINGE watching of House of Cards (I won’t spoil it for you, but O.M.G.) – ended off with spending time with my bestest people. A super short work week for me as we’ll be heading off to Montreal this Friday … any recommendations – where to eat, what to see? Love this colour. Can’t get enough. I know right! 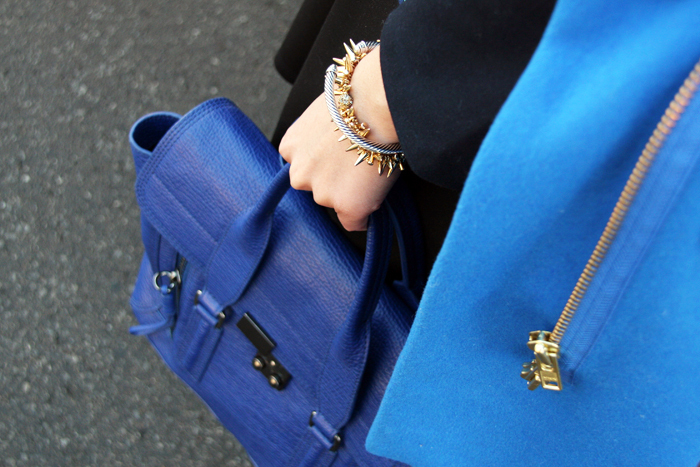 The only thing I’m going to miss about winter is my blue coat!